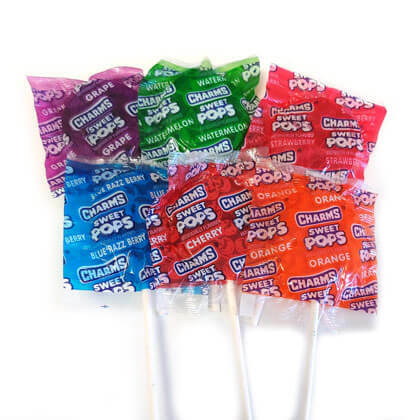 Charms sweet pops. Random assorted flavors from orange, grape, raspberry, watermelon, cherry and strawberry. 16 ct.